Just one day after revealing the tech-heavy cabin of the Clio V, Renault is now sharing an extended photo gallery to show off the supermini’s exterior design. While the styling does not represent a significant departure compared to the outgoing model, the subcompact hatchback does look more upmarket and ready to lure you away from buying a VW Polo or a Ford Fiesta. 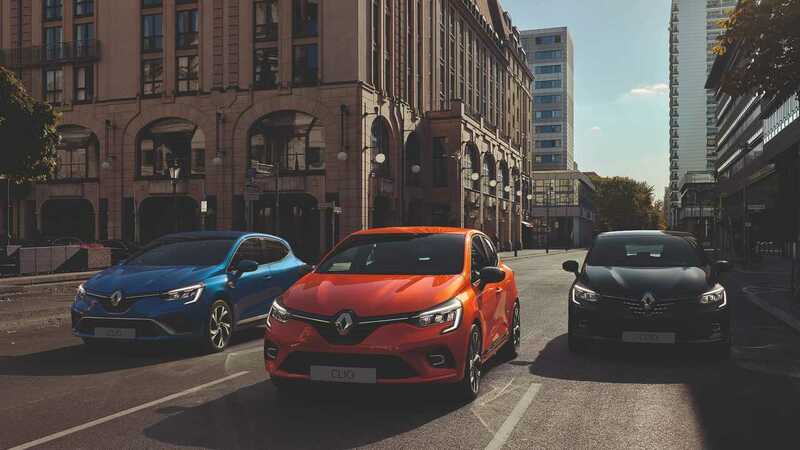 Even though cars keep getting bigger and bigger with each new generation, it’s a different story with the fifth iteration of the Renault Clio. At 4048 millimeters (159.3 inches), the supermini is actually 14 mm (0.55 inches) shorter than its predecessor. Despite a more compact size, it’s more spacious on the inside thanks to better packaging enabled by the new hardware and also by the fact it’s 66 mm (2.6 inches) wider than the old one, at 1798 mm (70.78 inches). It is also a better companion on longer journeys as the trunk’s volume has grown from 300 liters (10.6 cubic feet) to a class-leading 391 liters (13.8 cubic feet), plus 26 liters (0.9 cubic feet) available throughout the cabin thanks to various storage spaces. Details about the supermini’s oily bits have not been disclosed, but with the 2019 Geneva Motor Show kicking off in a little over a month, we won’t have to wait much longer to learn everything there is to know about Renault’s Fabia rival. Meanwhile, check out the press release section below to discover more about the Clio’s design inside and out. Renault is presenting the All-new Clio, the fifth generation of the automotive icon having sold some 15 million units. Launched in 1990 to the Clio has become Groupe Renault’s best-selling model worldwide. Clio represents the French population's favorite car more than any other model and has even risen to the top of the B segment in Europe since 2013. In a remarkable sales performance, Clio sales have increased each year between 2012 and 2018. From Clio I, it “has all the makings of a great vehicle”. 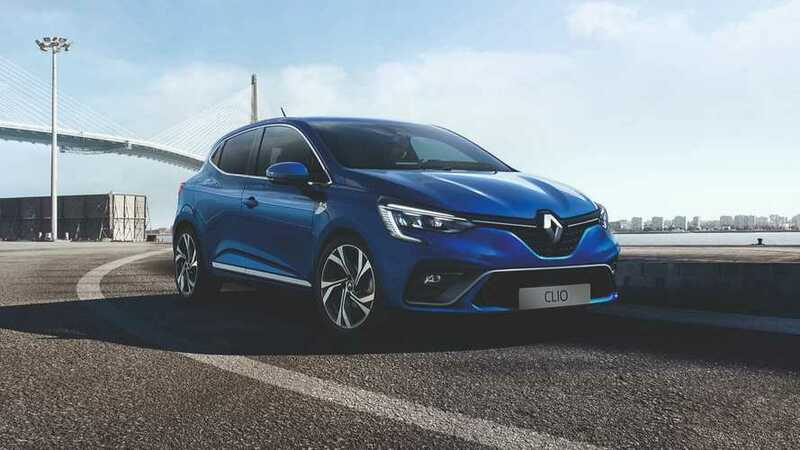 Like the model launched in 1990, the All-new Clio features technology found on higher-end vehicles such as Mégane and Espace. Designed according to the “Evolution and Revolution” principle, the All-new Clio rewrites the rule book with more mature body styling and an entirely revamped interior. Featuring more sculpted lines and a more assertive front end, The All-new Clio gains in vitality and modernity while remaining instantly recognizable, despite the fact that it comprises 100% new parts. Inside, the revolution is strikingly clear. The completely redesigned interior is inspired by higher-end segments, both in terms of perceived quality and available technology. These strengths benefit all motorists, bringing them greater practicality and ease in use. Connected: also by 2022, the company is targeting 100% connected vehicles in its key markets. The All-new Clio perfectly illustrates this momentum with its new connected multimedia system developed by the Alliance. The pioneer of a new generation of Renault models, the All-new Clio is also available in a new R.S. Line version, inspired directly by Renault Sport, and with the “INITIALE PARIS” signature, the latter having taken a new design direction. For the first time, the All-new Clio is equipped with a digital screen replacing the traditional analog display. The technology has been adopted directly from higher-end segments. Measuring 7 to 10 inches, the TFT screen can be used to customize the driving experience in a highly intuitive manner. The 10-inch version will include GPS navigation in the display. With its two, 9.3-inch and 10-inch screens, the All-new Clio boasts the largest screens in its category. Particular attention was paid to the quality of the All-new Clio's entirely redesigned dashboard. It is divided into three parts: a top panel with a foamed coating, a coated and customizable central panel, and a lower area housing functional components such as the glove box. The dashboard's wave-like shape lends extra visual width to the cockpit. This impression is further heightened by the horizontal forms of the central and side air vents. Below the central screen, meticulous attention was paid to ergonomics, with “piano” buttons and direct-access air conditioning controls for easier use by drivers. The central console is also a key component of the All-new Clio's Smart Cockpit. Positioned higher for enhanced ergonomics, it is home to a shorter gear lever offering a natural and comfortable grip. The coated central console can be customized depending on the interior design scheme and features special lighting on its outer edge. The eminently practical storage compartments built in to the lower part of the console make life easier for passengers, including a wireless smartphone charging area. Each New Clio owner can create a car in their own image with a range of customization packs, deciding on the appearance of the central console, dashboard, door panels, steering wheel and arm rests. Customers can choose between no fewer than eight interior design schemes and benefit from an innovative customization offering with special colors for the line formed by the air vents spanning the entire width of the dashboard. The All-new Clio is also available with ambient lighting in eight different colors. The All-new Clio is available in several new body colors including Valencia Orange as well as Vison Brown and Celadon Blue. Embodying the All-new Clio’s vitality, the new Valencia Orange tone offers unprecedented depth and radiance thanks to a specific orange colored varnish treatment making its first appearance in the automotive industry. In all, the All-new Clio is available in 11 body colors and with three exterior customization packs (red, orange and black). The headlights on the All-new Clio, now 100% LED from the first trim level, are equipped with the C-Shape light signature that characterizes Renault models. They lend the All-new Clio a more expressive look, underscored by the diamond motif topping the light and adding extra elegance. The trunk architecture has been optimized to make its shape as cubic as possible. The premium BOSE audio system has been fully integrated and therefore does not encroach on trunk volume, which has been increased to 391 liters (plus 26 liters of interior storage spaces), making it the largest in the category. The double floor simplifies everyday loading, while the rear seats fold down to provide a flat floor. The sleek profile of the previous generation, symbolized by the window-mounted rear door handles, has been improved through a number of aesthetic choices. These include chrome-plated window surrounds, gloss black window pillars and rear handles, lower side panels hollowed out of the sheet metal, and the chrome-plated CLIO signature. The care and detail paid to the body sides also boost the perceived quality of the exterior. The rear comprises chrome-plated lines as seen on the sides. The design of the trunk, and in particular the flush fit between tailgate and bumper, was reworked for extra perceived quality. Lights overflowing on the tailgate give a wider width to the rear of New Clio. Renault Sport is introducing its R.S. Line label on the All-new Clio, gradually replacing the current GT-Line. GT-Line was a pioneer in sporty look packs and has bolstered the Renault Sport range strategy in all markets since 2010. With upgraded and richer content, R.S. Line is more than a mere name change. R.S. Line provides more athletic exterior lines and interior design in response to the expectations of customers, who are increasingly looking for extra differentiation through dynamic styling. The interior is home to other distinctive R.S. Line items including sports seats with reinforced support, carbon-style inserts, a perforated leather steering wheel with the double R.S. diamond, an aluminum pedal set, and a black atmosphere punctuated by red topstitching and edging. The R.S. Line brings the All-new Clio more sporty attributes so that customers can more fully experience the brand's motorsport heritage, which remains very much alive today, from Formula 1 to customer competition. The INITIALE PARIS signature gains a fresh look on All-new Renault Clio. Available on numerous models in the Renault range (Captur, Scénic, Talisman, Koleos and Espace), the INITIALE PARIS signature is back on the All-new Clio with an entirely new design approach bringing motorists the very best in Renault know-how. Outside, the All-new Clio INITIALE PARIS stands out through pure and extremely elegant styling. Chrome detailing adorns the window surrounds, lower door protectors and grille. The latter sports an INITIALE PARIS badge, as does the front wing. The distinctive styling is boosted by the shark fin antenna and special INITIALE PARIS 17-inch wheels. Inside, the All-new Clio INITIALE PARIS is available with two color schemes: Black and Sand Grey. Reserved exclusively for this version, the padded leather seats with their special design are particular stand-outs. The cabin is also home to a special foamed leather steering wheel. The All-new Clio perpetuates the illustrious story of stylish and exceptional Clio models initiated in 1991 by Clio Baccara with an even more elegant and meticulous INITIALE PARIS signature, bringing motorists a unique onboard atmosphere.